Everyone likes sleeping in, right? Sometimes it seems like there’s nothing better than curling up under the covers and going back to sleep, knowing that you don’t have to get up for a while. But if you’ve ever had to rush to get ready before work or class and felt the pressure of not having enough time, you know how nice it would be to have a little extra time in the mornings. Still, just the idea of setting your alarm even earlier might be enough to make you start yawning. But as hard as it may be at first, there are lots of perks that come from getting up just a little bit earlier in the morning! More time to adjust. Let’s be honest – it can take a few hours after your alarm goes off for you to really feel ready for the day. And if you’re waking up too late, that could mean that you’re not feeling ready until you’ve already been in class or at work for a while. Setting your alarm a little earlier (or a lot earlier, if you’re really ready to make a change) can give you more time to “wake up” before you need to be ready for the day, helping you be more productive when you do get to work or school! Start your day with breakfast. How many of us have skipped breakfast at least once when we were running late or just “too busy” to eat? Probably too many of us. We’ve all heard that breakfast is the most important meal of the day, and taking the time to start your morning by eating breakfast can help kickstart other healthy eating habits throughout your day. When you’re getting up earlier than normal, you won’t have the same excuse that you’re too busy or running late, making breakfast a part of your routine again! Get more done. Depending on how much extra time you want to give yourself in the morning, you could even spend that time getting some work done before your day even starts. If you feel more productive in the morning, that can be a great time to get ahead on homework or start a work project. Not only will you start your day on a productive note, you’ll also free up time later on that you can use for other things! Enjoy some alone time. Even the most extroverted people can find that they need some time to themselves occasionally. Even if you live with family or roommates, early mornings are a great time to spend some “me time,” in whatever way works for you, even if it’s just enjoying your coffee in silence. Get some exercise. If you’re having trouble sticking to a workout routine, getting up earlier than usual to get your exercise can be a great help. While it’s easy to come up with excuses in the afternoon or evening after work or class, those same excuses don’t work nearly as well first thing in the morning. Without all the distractions that come up during the day, you’ll be able to stick to your workout and start your day off right! While getting up earlier in the morning often means you need to go to bed a little earlier the night before, this can be a great choice for several reasons. 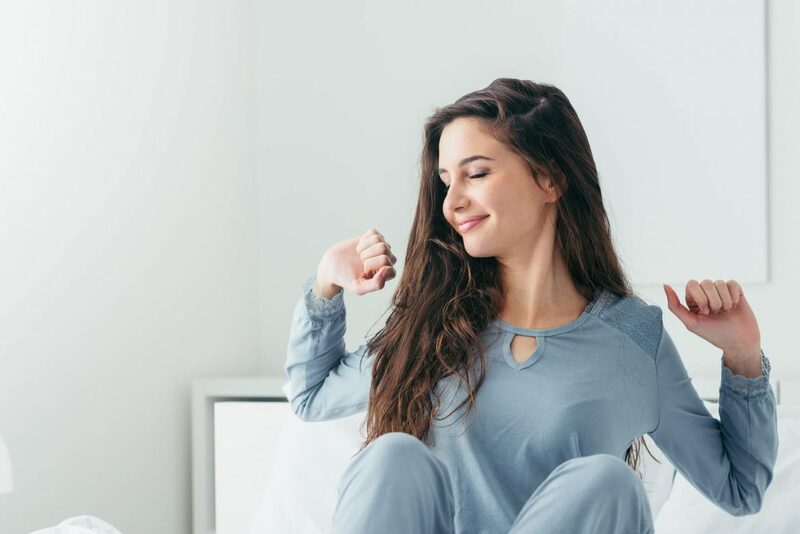 Not only will this restore your body’s natural sleep schedule, helping you feel more energized and rested, you’ll also have time to do other things that you normally have trouble fitting into your day. The idea of setting your alarm even earlier sounds awful, I know, but it can be a great way to get more done and start making other healthy choices!